REI NWA - Rookie Nook: Other People's Roth IRA Can Make You Money! Rookie Nook: Other People's Roth IRA Can Make You Money! 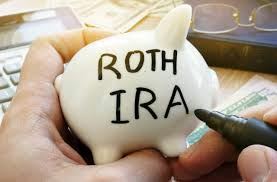 We'd all like to use "Other People's Money", but did you know you could use "Other People's Roth IRA"? This amazing, little-known strategy can be used for loaning other people money (become an Angel Investor), putting your kids through college or funding your next deal! Chip Chronister is one of the owners of River Valley Real Estate Investors Association in Fort Smith and is a savvy, long-time investor. He embodies the idea of CANI ~ Constant and Never-Ending Improvement. Tonight, he'll share with us one of the gems he has picked up along the way. Join us for a great program you won't find anywhere else in NWA. Pick Chip's brain about this strategy and others he's learned on his REI journey. While you're at it, enjoy a great dinner at San Miguel's. See you there!